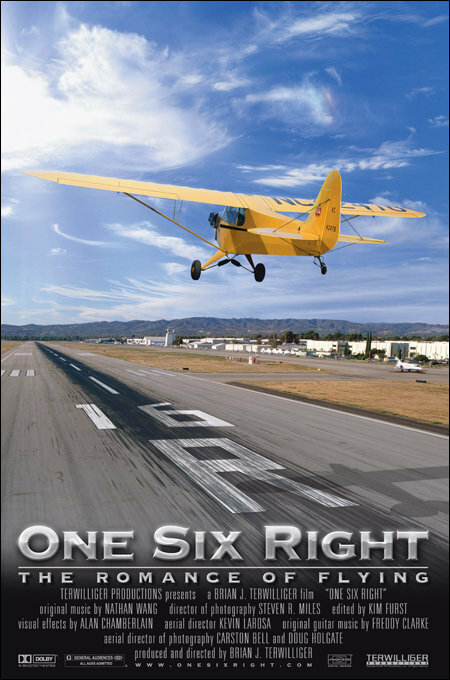 It’s the first Saturday in February this weekend (the 3rd), and we’ll be cooking breakfast and watching the movie “One Six Right” from 08:00 at hangar S12. Mira Slovak was a noted aviation figure in from the 1950s through the 1970s but he is, surprisingly, largely forgotten today. He escaped from behind the Iron Curtain in 1953 while flying a plane load of passengers as an airline pilot. From there, he settled in the U.S. and became a well-known unlimited air racing and hydroplane pilot. 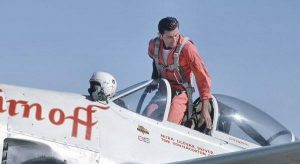 He flew in a variety of aviation career fields including flying in airshows, doing crop dusting and flying air tankers, and eventually went back to work as an airline pilot with Continental Airlines. Join us for this program presented by Richard Pearl on the story of an unusual and talented individual. BBQ lunch starts at 11:00 am; program starts at 12:00 pm. Chapter 1541’s January Member Meeting will be held at Cattlemens Restaurant, 2000 Taylor Road, Roseville. Join us for the optional dinner beginning at 18:00, with a short business meeting to follow. We will then have a presentation on the Boeing P-26 Peashooter fighter by chapter member Marty Maisel. 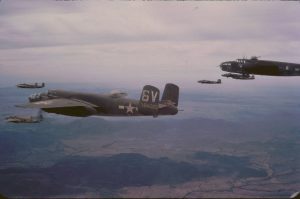 The P-26 was a groundbreaking advance for the Army Air Corps when it was introduced in 1932 and remained in service into the early days of World War II. It marked the transition from fabric covered biplanes to all metal monoplanes for the Air Corps but was quickly surpassed by newer designs with enclosed cockpits and retractable landing gear in the fast moving 1930s of aviation technology. For those ordering dinner, we will order off a special menu with included non-alcoholic beverage and pay $21.65 including tax and gratuity. Guests are encouraged and welcomed. An online medical course is one of the required steps for pilots seeking to operate under BasicMed without an FAA medical certificate. A pilot must first obtain a physical examination from a state-licensed physician using the Comprehensive Medical Examination Checklist (available here). A pilot must then complete an approved BasicMed medical education course. In addition to the AOPA course that was approved last April, pilots now have the option to take the online BasicMed course with the Mayo Clinic. To date, 25,755 pilots have opted to fly under BasicMed. To learn more about flying under BasicMed, go here. In early 1969, eighteen B-25 bombers and a large on-location crew gathered at a small Mexican airstrip alongside the Sea of Cortez to begin work on what became the iconic 1970 film “Catch-22.” Join us for a program that explores how Tallmantz Aviation put together the Catch-22 air force and what went in to making the film. BBQ lunch starts at 11:00; program starts at 12:00.